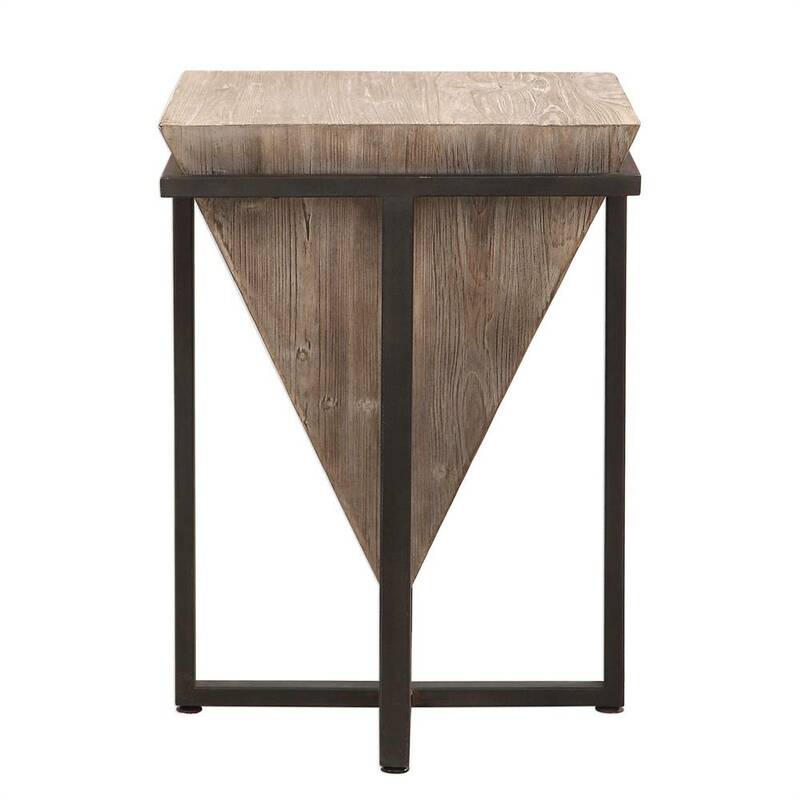 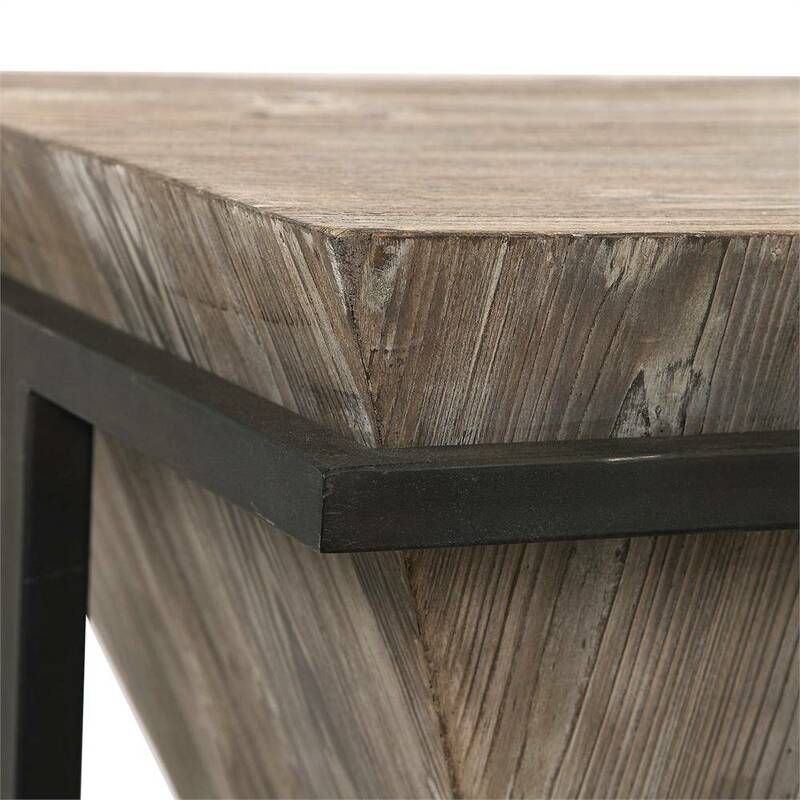 The Bertrand Accent Table by Uttermost blends modern, industrial and rustic styling with it's artful design. 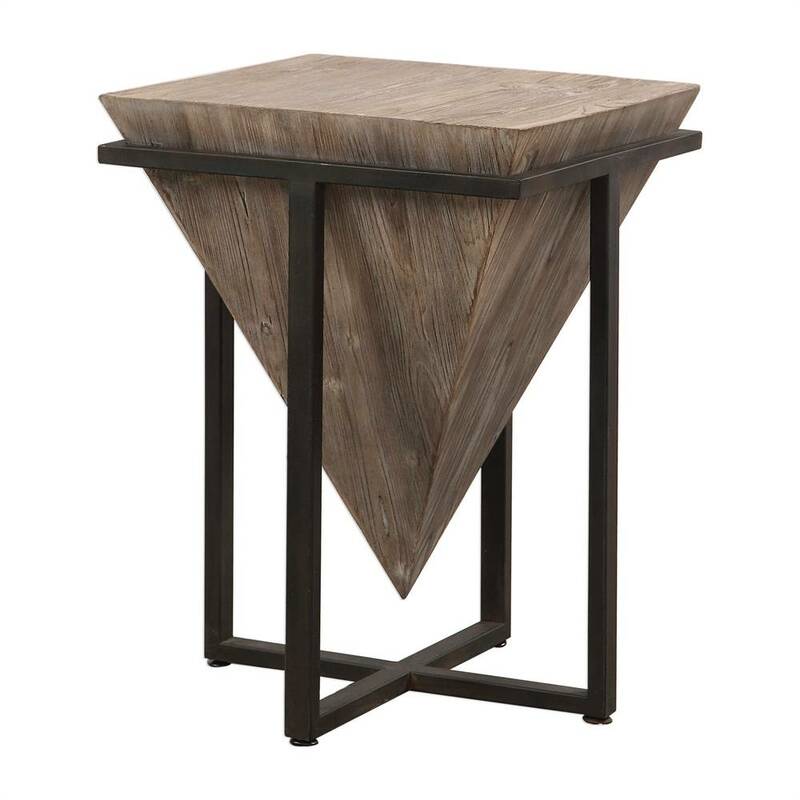 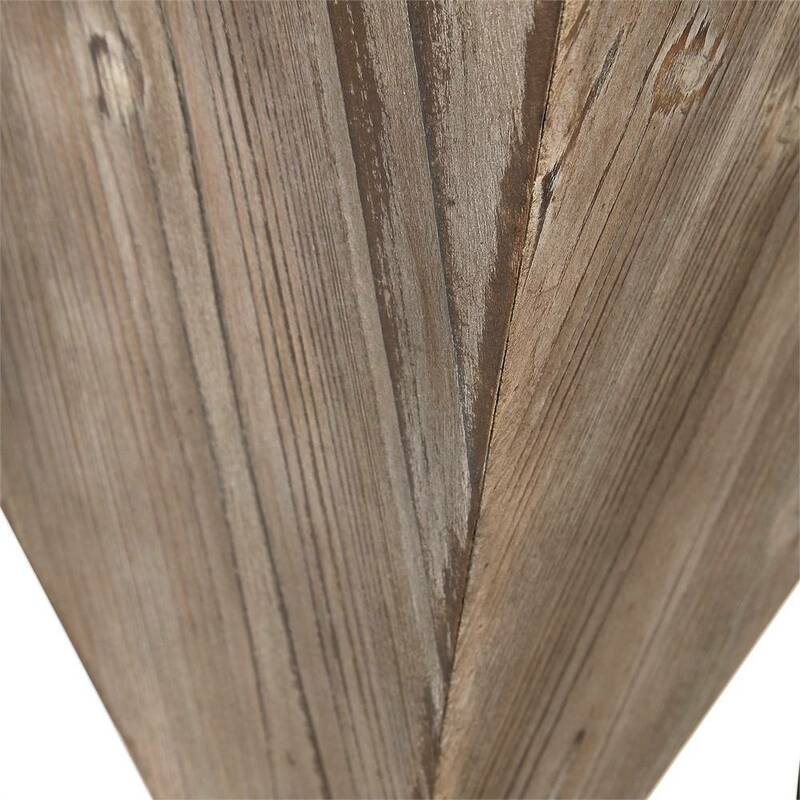 The unique inverted pyramid is crafted from aged fir wood with a hand applied heavy gray wash. 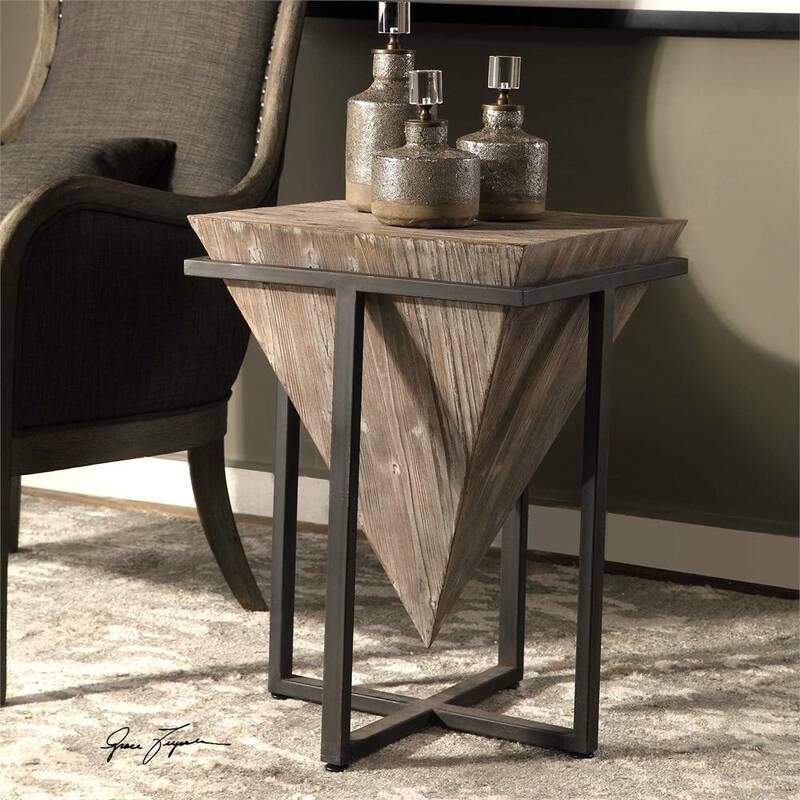 The sturdy metal base is finished in age black and creates a display stand for this work of art.